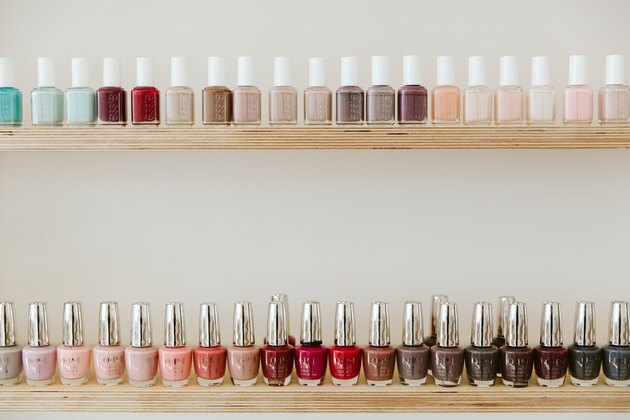 Marie Kondo is responsible for a lot of change — like millions of people tossing anything in their life that doesn't "spark joy," from furniture to clothes to ... homes. 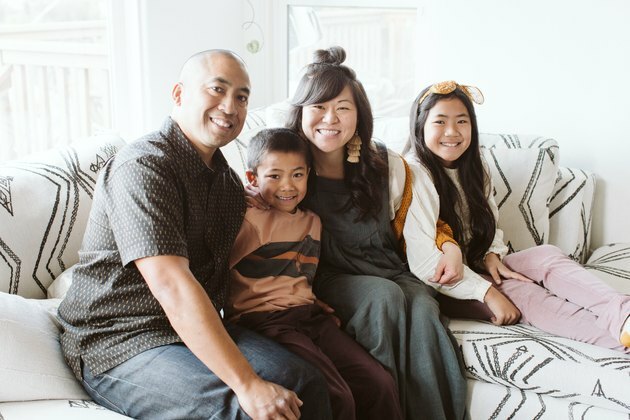 For Jina Javier of La Mesa, California — a quaint, walkable town due east of downtown San Diego — Kondo is the reason she downsized into what would become the home of her dreams, a full 1,600 square feet smaller than the tract home she shared for eight years with her husband and two kids. The Javiers were drowning in stuff in their old 2,800-square-foot house. The new space, a three-bedroom midcentury ranch, is less than half the size at 1,300 square feet, but practically perfect in every other way. 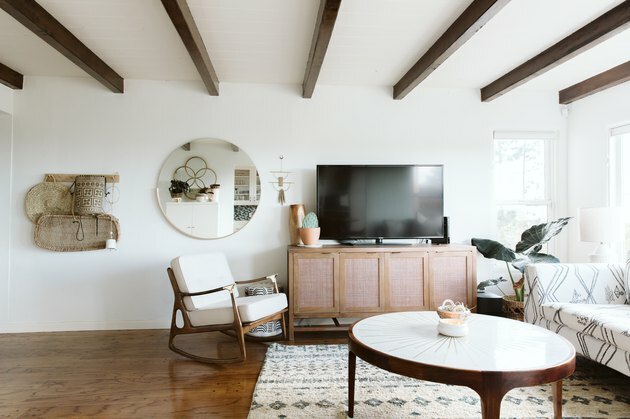 "It had all the old charm that we wanted but still having the modern upgrades we needed so that it was move-in ready," she says. 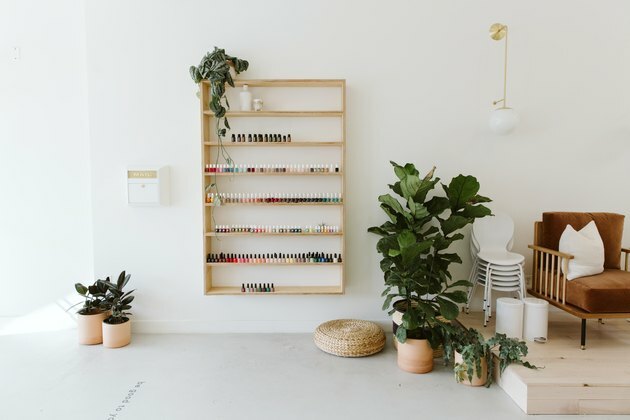 All Javier had to do was paint the space all-white, a clean break from the melon, Granny Smith apple, and buttercup walls it once had, and fill it with decor and accessories that, yes, spark joy. The iconic beams she left untouched. One of the most joyous pieces, says Javier, is the Berber-woven Edlyn sectional from Anthropologie, which anchors the living room. 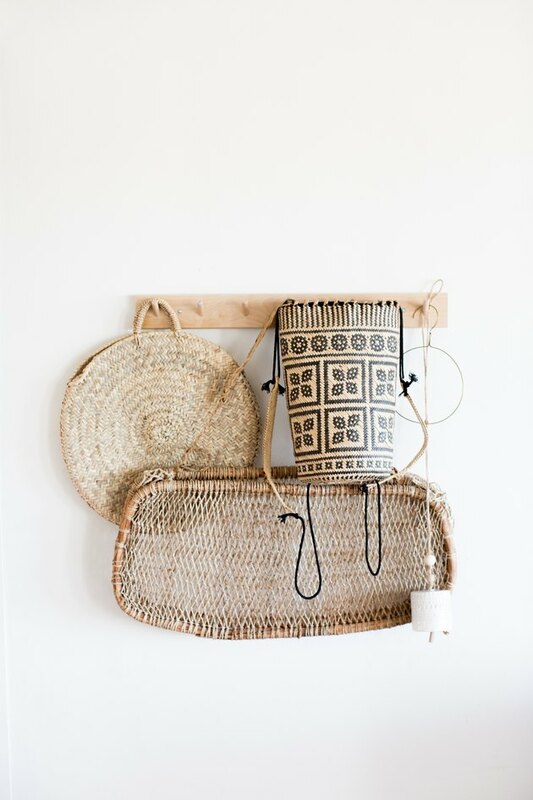 "The pattern makes such a statement and I love that comfort and functionality of it as well," she says. 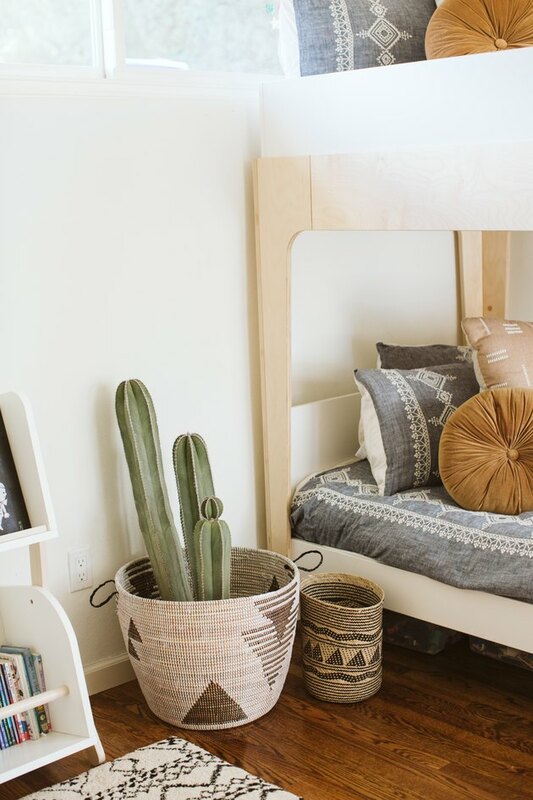 Across the home, you'll find small bohemian touches as well, which warm up the otherwise neutral space with pattern and texture. 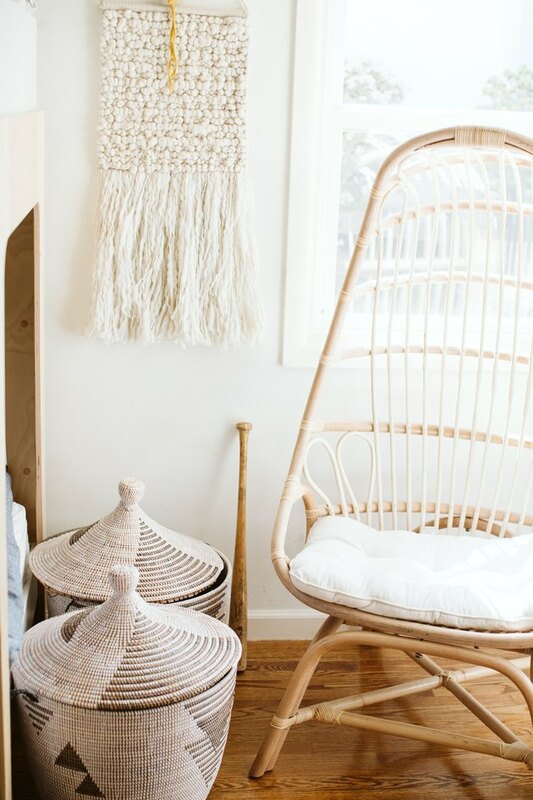 Javier flexes cane, rattan, and other neutral, natural textiles to great effect, from the living room to the bedroom and beyond. "This home reflects a chance to start over and a chance to do it right," says Javier. Little did she know, that by sizing down and purging, she'd change her entire life. 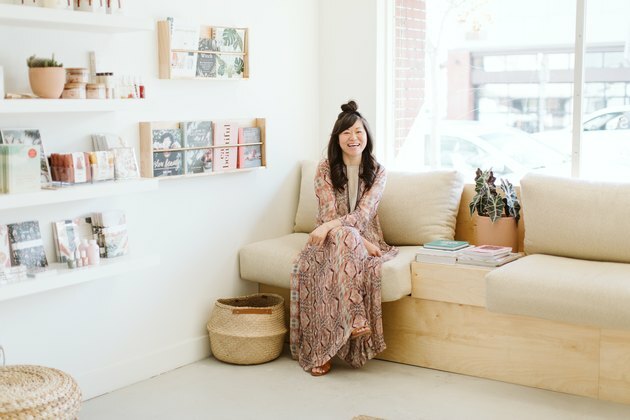 Not only did Javier KonMari her way into a dream home, she also used the new psychological space she gained to pursue a second small business. 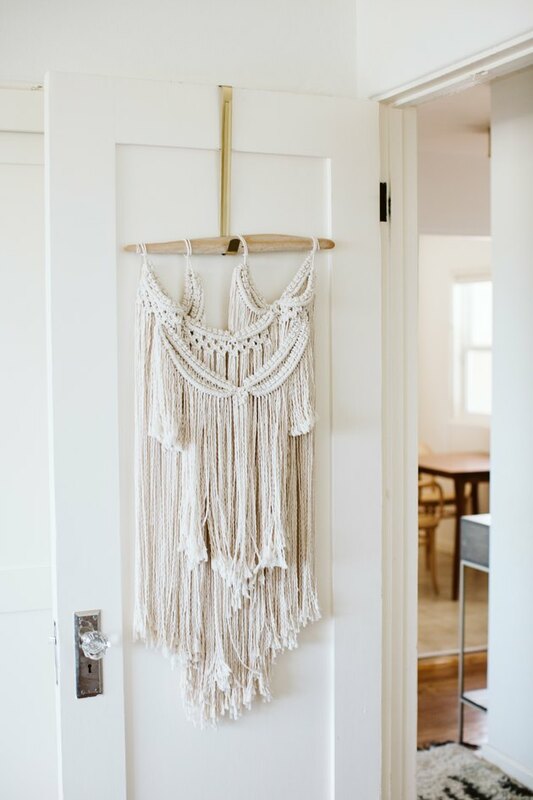 (Her first is Liv3, a San Marcos-based boutique she runs with her two sisters.) 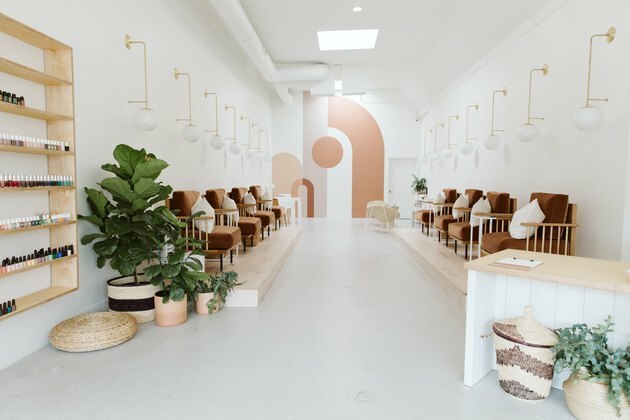 Leo opened its doors in December 2018 and has since welcomed the North Park, San Diego, community with its new take on a nail salon — one more concerned with wellness and balance than the latest nail art. 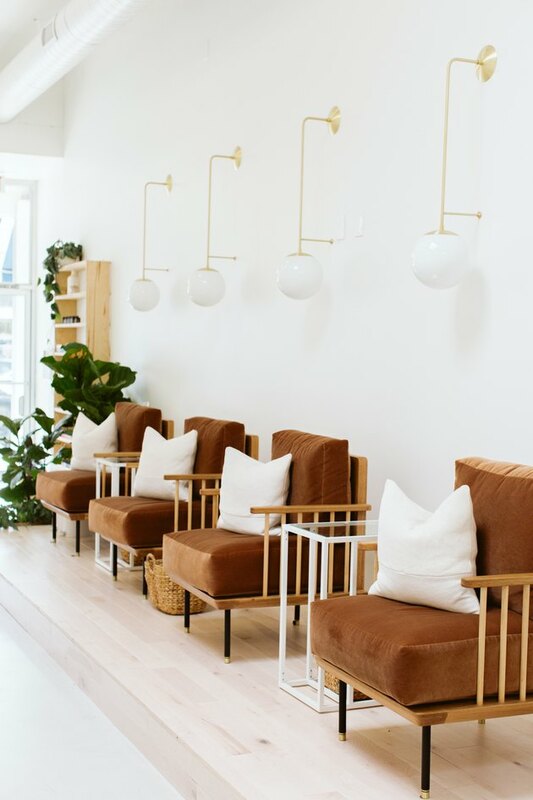 Working with Katie Gebhardt of Solstice Interiors, Javier brought a similar modern-bohemian taste and sensibility to the salon — but made sure to add warmth and color. 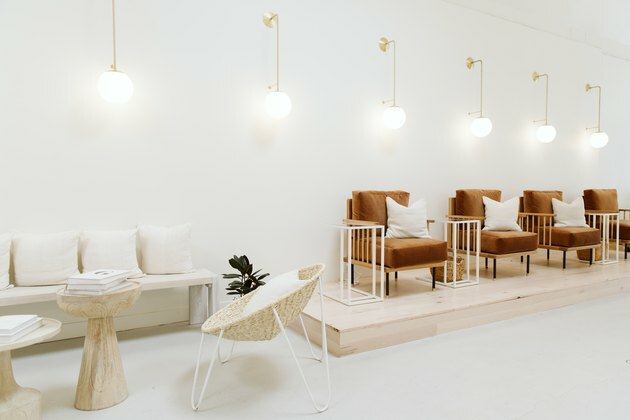 They focused their energy — and budget — on custom brown velvet chairs by Moniker Design, a hand-painted mural, and sleek lighting. "Those three elements make such a difference in the look and feel of the space," says Javier. The graphic mural — by Janie Rochfort of Betty Larkin — is Javier's favorite element. 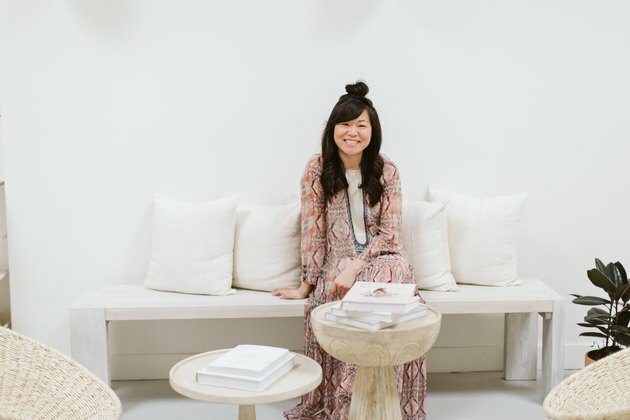 "I love how the art draws people's attention and love how the colors and shapes brings both calmness and edge to the space," she says. It wasn't always such a love-fest, however. The three-month reno pushed Javier to the limit. But it was all worth it. "There's something magical about discovering one's true potential. And part of the magic is not having all the answers but organically finding and figuring out the answers in your own way." Favorite piece of design or architecture in your neighborhood, town, or city: I love the secret steps of La Mesa. They are hidden among the neighborhood as a way of bringing neighbors together. 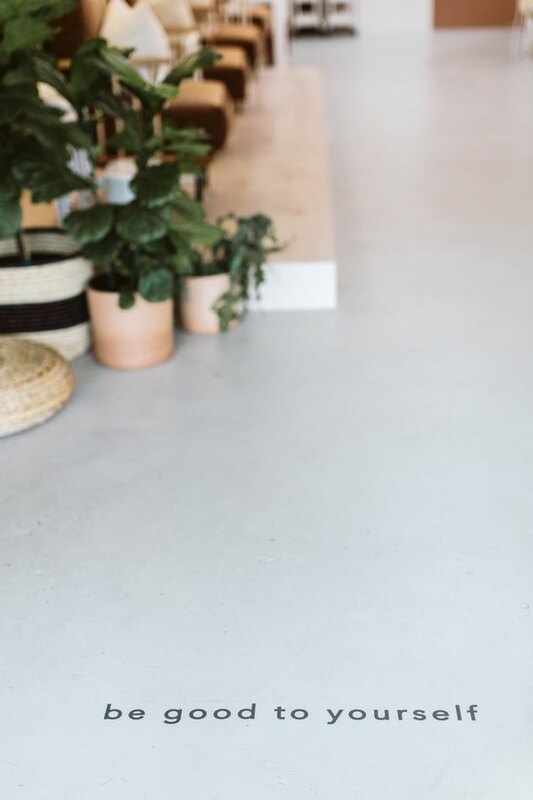 Best places for thrift store finds, antiques, or flea markets: Downtown La Mesa has a few great options for antique stores. They're all walking distance from our home. Best Farmers Market: Another reason why I love La Mesa is that we have a Farmers Market every Friday in the heart of downtown. My family and I don't have to go far for a fun Friday night. Best cheap and cheerful restaurant: We love Surf Rider Pizza Co. for the kids! They have such a great outdoor patio and the pizzas are sold by the slice. Best coffee shop: Our favorite coffee shop in La Mesa is Public Square. We love the old charm in La Mesa but I like that Public Square has a modern feel to their space. It's not farmhouse-y like many of the restaurants and shops in La Mesa; the vibe is hip and fresh. 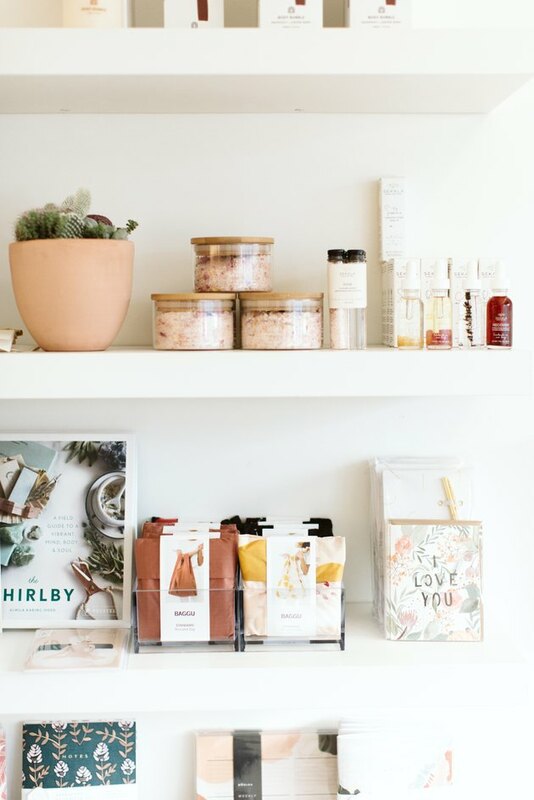 If I were to have visitors, I would take them to: Sheldon's Service Station for breakfast, Small Batch, a modern gift store, to shop, and Farmer's Table for dinner.